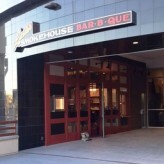 Southern California’s favorite family-owned award winning barbeque destination, Lucille’s Smokehouse Bar-B-Que restaurant celebrates the opening on December 23rd of its first Santa Ana location that will give visitors at MainPlace Mall a whole new view. Located at 2800 N. Main St., Santa Ana, this Lucille’s features full-height windows that open outward offering guests a high view of the city from the middle floor of the mall. At the center of this and all Lucille’s restaurants is a Southern Pride smoker where succulent cuts of brisket, tri-tip, ribs and more are smoked low and slow to perfection with a variety of authentic sauces from different regions around the South. Lucille’s Flying Pig lounges feature craft beers, wine and spirits, special appetizers and a full menu. “We are excited to bring our down home hospitality and great Southern-style comfort food to the warm Santa Ana community,” said Craig Hofman, president of Hofman Hospitality group, the family owned parent company of Lucille’s. Lucille’s restaurants are reminiscent of a Southern roadhouse with a distinctive Southern décor that features reclaimed wood outline doors and windows for a rustic yet contemporary look. 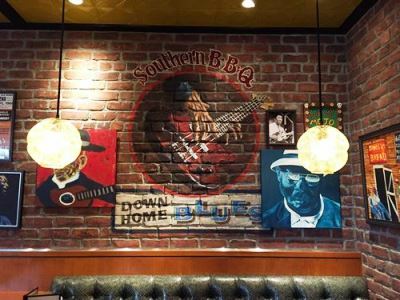 Lucille’s features blues-inspired art throughout the restaurant and the Flying Pig lounge. Lucille’s will be open Sunday – Thursday 11 am – 10 pm, and Friday and Saturday until midnight. The new restaurant seats about 270 and will employ more than 215 people. Lucille’s founder, Craig Hofman, opened the first restaurant in Long Beach, Calif., in 1999 but not before a two-year journey through the South to find the best barbeque. Driven by the philosophy of “Serving the best Bar-B-Que with the finest Southern hospitality,” Lucille’s has won many awards and honors, including dozens of local “Best of” awards in each of its markets. There are 22 Lucille’s restaurants throughout California, Arizona and Nevada. Lucille’s is part of the family-owned Hofman Hospitality Group (HHG), which also operates four Hof’s Hut restaurants in Southern California and two SPIN! Neapolitan Pizza locations. For more information, visit lucillesbbq.com, facebook.com/LucillesSmokehouseBBQ or twitter.com/Lucilles_BBQ. « 2.8 M earthquake hit Newport Beach this morning at 9:45 a.m.